The most popular island in French Polynesia, Bora Bora, is a bucket-list vacation spot, thanks to its jaw-dropping turquoise waters, lush mountainous landscape and romantic overwater bungalows. The “picture-perfect” destination is often chosen for once-in-a-lifetime honeymoons. But it may be surprising to learn that it’s possible to visit Bora Bora on the cheap. After traveling all around the island, the team learned a few tricks to saving some cash, so there’s no need to wait to take that dream-worthy getaway. 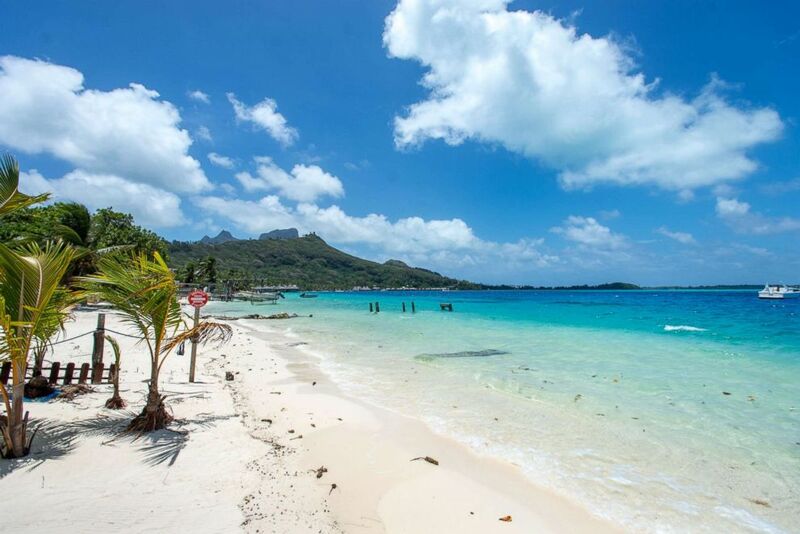 Bora Bora is seen in this undated stock photo. Given that Bora Bora has an isolated location in the South Pacific, it’s no surprise that flights to get there are pricey. However, certain months are more popular than others — May through October — as the weather is dry and temperatures range from the upper-60s to mid-80s and flights reflect this. December through March has the most unpredictable weather, with rain and slightly higher temperatures, while April and November are the shoulder seasons. Budget travelers should stick to the off-season for cheaper airfare and keep an eye on flight deals. Hopper is a great app for analyzing when the cheapest flights are available and when to book them. Tip: After landing at the Bora Bora Airport, which is located on its own island, take the free ferry that travels to Vaitape on the mainland. Many guesthouses and hotels will pick guests up from there. While Bora Bora offers over-the-top luxury hotels, such as the Four Seasons and InterContinental, there are also some budget-friendly picks. Pensions, or guesthouses, dot the mainland, as do a couple of affordable hotels. A particular favorite is the two-pearl Village Temanuata, which has a privileged location on the breathtaking Matira Beach. Features are limited to a small private beachfront and room-delivered breakfast, but rustic bungalows offer all the necessities. Sunset Hill Lodge is another suitable option, since rates are cheap and it’s close to where the free airport ferry drops off travelers. Tip: Anyone having trouble booking a budget property online can email the hotel, as that’s often a reliable way to confirm dates and availability. The majority of food has to be imported to Bora Bora, resulting in sky-high prices for everything (think $20 cocktails and $38 steak dishes). On the upside, Village Temanuata and most pensions have kitchen facilities available either in a communal space or in rooms. The former’s bungalows offer one-burner hobs, microwaves, kettles and all the necessary cookware and dishes. Those willing to cook themselves can save a significant amount of money by shopping at the affordable supermarkets and fruit stands on the island. There aren’t a ton of options, but mainland Bora Bora has Tiare Market, Super U and Chin Lee — one of which will likely be within walking or biking distance. Although grocery store prices are closer to Whole Foods than Trader Joe’s, they’re still a better value than dining at a restaurant. 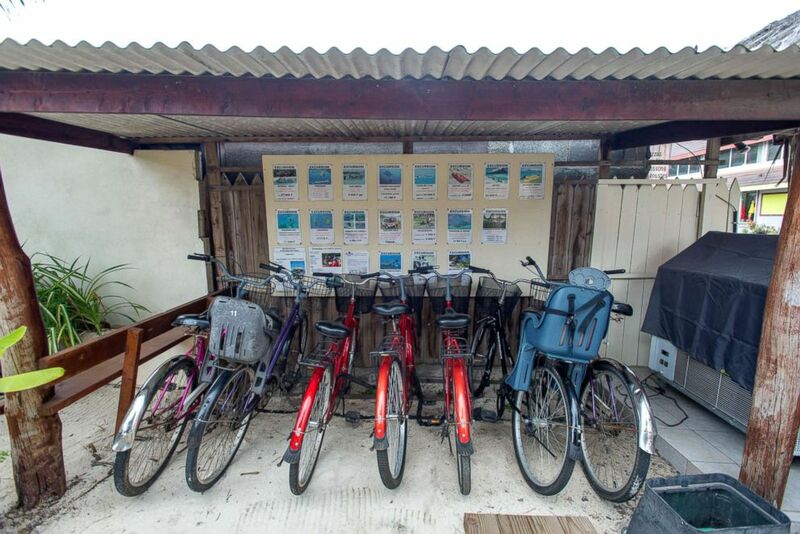 Taxis are pricey throughout French Polynesia, so renting a car or bike provides cheaper alternatives. Anyone not planning on doing a ton of driving should stick to renting a bike. Many hotels have bikes available for a daily fee, but look around to compare prices. Also, don’t expect brand-new bicycles and know how to put a chain back on; many past travelers have noted the chains often fall off. Still, for those who are simply going to and from the beach, supermarkets or shops, it’ll save a pretty penny over taking a non-metered cab. In a similar vein, visitors should rent kayaks and snorkeling gear versus booking a guided tour to save some dough. 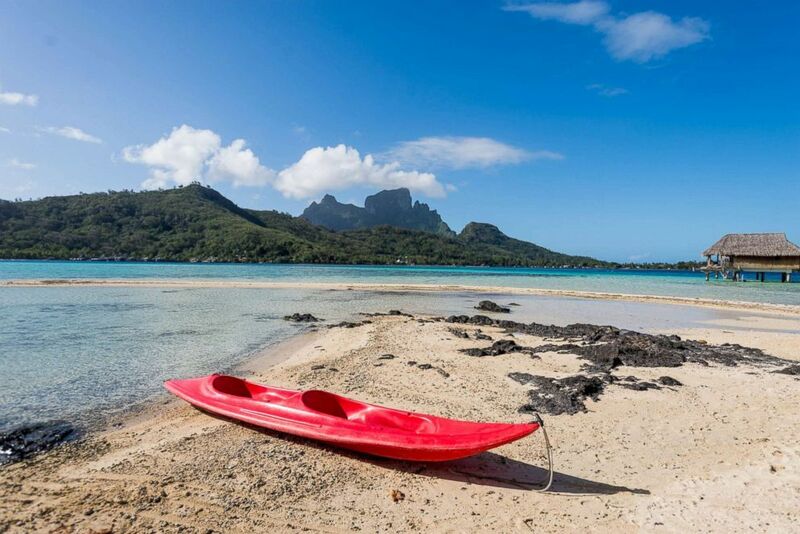 Travelers can kayak around Bora Bora or head to what’s known as the Aquarium, an excellent snorkeling location with gorgeous coral gardens and marine life. It’s located due east of the InterContinental Bora Bora Le Moana Resort, near the Sofitel Bora Bora Private Island resort. Guesthouses may have some for free or a reasonable rental cost. If it seems hard to find a place to rent one, ask hotel staff or locals for information.